Thank you so much. I live on a disability pension and I really can't aford all the designs I like, but the kids bought me a used machine and I found your site I have been a sewing fool ever since. Your free designs let me afford the thread to sew. So thank you and God Bless. Laura sent this this picture of tooth fairy pillows she sells at her website. Be sure to pop by her website for a look! Enis sent in these amazing bibs she made for a craft show using Daisy Mae Too and Beary Special Too designs. Enis made these adorable bibs an Onsie using a design from the free retired download Beary Special Too. Enis has a great etsy store - so be sure to visit! 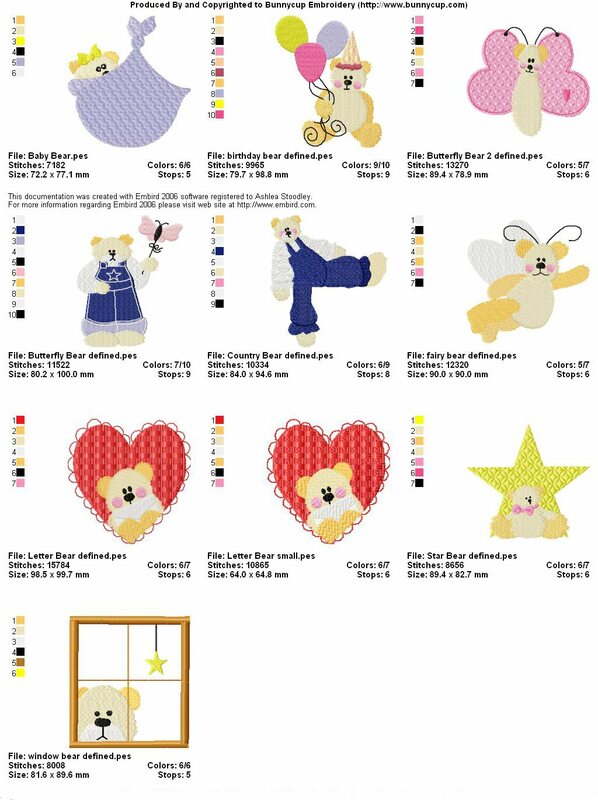 Carole made this cute quilt using our free retired downloads, Beary Special and Beary Special Too.